Leo it’s your month in August! 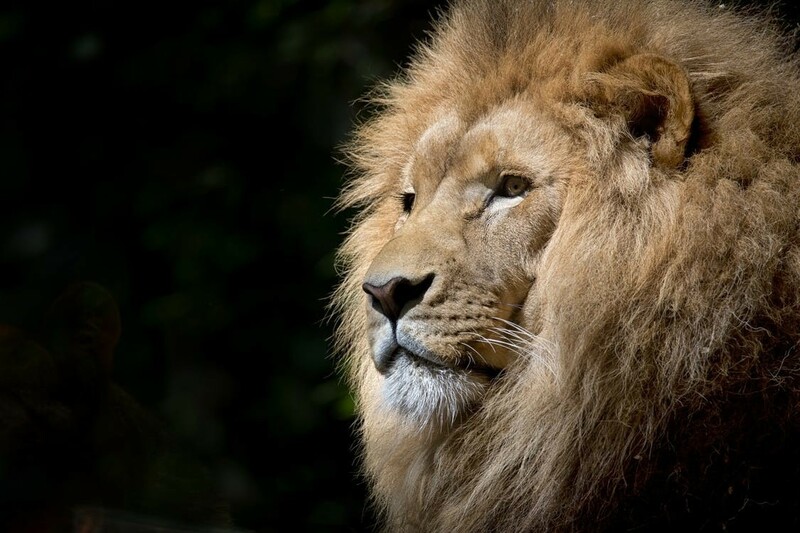 Leo’s are natural-born leaders, and like their lion embodiment, love to take charge always seeking new challenges. We have made sure that this fiery sign will fall in love with our Leo mala bracelet. 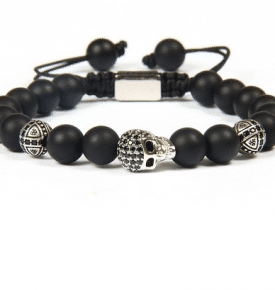 This amazing bracelet allows you to take your spirituality wherever your search for self-awareness takes you! 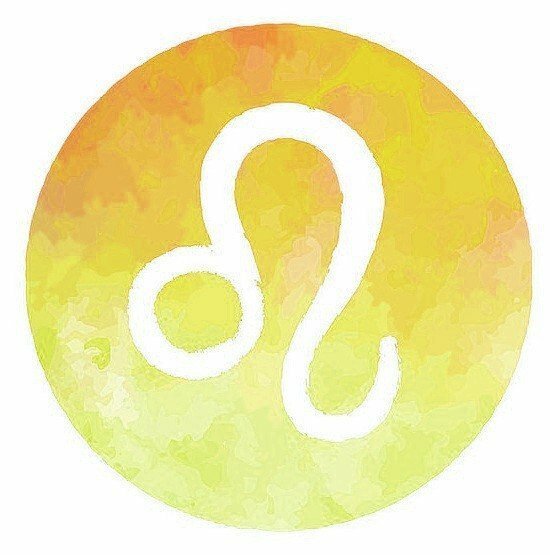 The month of August is for celebrating Leo, the sign that loves the new and extraordinary. This is great in the summer as your friends may need someone to push them outside into the beautiful weather! 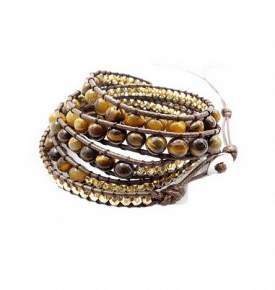 This year, why not treat yourself to something new: a beautiful mala bracelet, complete with your birthstones? Alternatively, you could just keep dropping little hints to your friends and family until they get it for you. The sign Leo, the lion, is the sign of adventure. It is a fixed sign along with Taurus, Scorpio, and Aquarius. 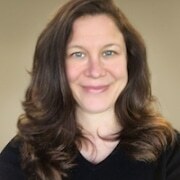 Leos are ambitions and adventurous, the ultimate spontaneously creative extrovert, but they can also be powerful leaders. They are often idealistic, humane, beneficent, and will usually use their fierce intelligence for good. Peridot: A lively green gem that activates the solar and heart chakras. This will open up the wearer to matters of the heart. It may also aid the wearer in financial affluence. Peridot is a stone for compassion, integrating love and will and giving the wearer strength to act on their heart’s desires. 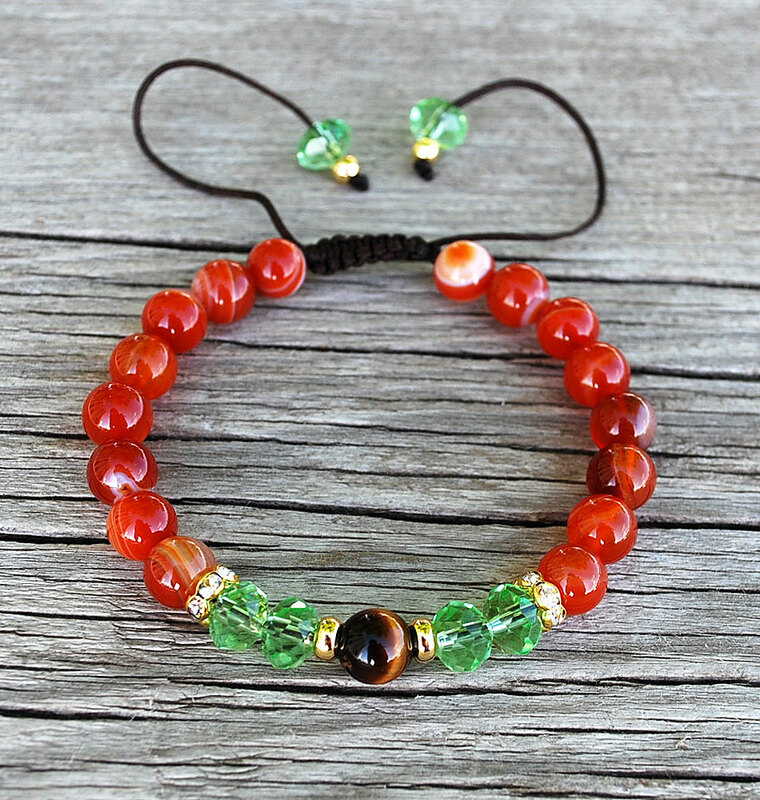 Carnelian is a stone used to help balance the body’s energy levels and coordinate physical exercise. It is said to attract prosperity, new resources, and good luck. Adventurine: A dark green quartz sprinkled occasionally with mica makes adventurine stunning. It is known as an all-encompassing healer and stress reliever. 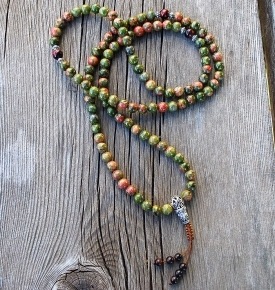 This mala may be worn to increase prosperity, develop creativity and even aid circulation. This would be a great addition any birthstone collection! Amazonite: This feldspar mineral is diverse in it coloration and ranges from bright greens and blues to a dull or opaque white or grey. Amazonite is the mineral of love and marriage and may aid in such ventures. It also aids in self-love and emotions. Onyx:Pure black onyx or the black and white snowflake obsidian are both beautiful and can versatility be worn. 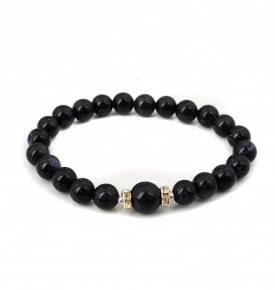 Black onyx is associated with “yin” and may aid in the protection of the spirit. The snowflake obsidian embodies the power of positivity while linking the wearer to the spiritual realm and perhaps even a past life! The bracelet also contains Botswana Agate which helps to balance emotional, physical, and intellectual energy. This stone s said to harmonize yin and yang, the positive and negative forces of the universe, and help the wearer find balance. Whichever mala you choose, know that every one is made with care and precision to help the wearer on whatever journey they choose. At Sakura, our passion is to help you on your journey by bringing these beautiful mala beads to you for your mediation or everyday wearable needs.